« Steve Goodman "Somebody Else’s Troubles"
Dark, eerie, creepy etc etc. This album has been described by all those great words. But I think it’s a wonderful body of music. Great dark sound. Kinda like a pissed off Roxy Music. Some exception saxophone work highlights the sound. 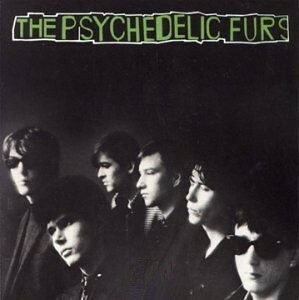 The Psychedelic Furs was mostly produced by Steve Lillywhite and the band. It reached number 140 on the Billboard Charts.